Noni is a plant, found in the Asian, Australian and Polynesian regions. This is a small-sized plant that has many benefits. Different parts of this plant are used in making different things such as firewood, cattle fodder, medicines and food. The plant is a small sized tree or a shrub with white flowers. Its fruit is usually very smelly and yellowish brown when ripe. The fruit has a very coarse surface and oozes juices when ripens. The tree has a very distinctive smell and the fruit has a vomit or cheese like odor. 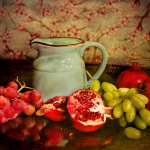 The noni fruit in itself is very beneficial for uses both medicinal and non-medicinal. 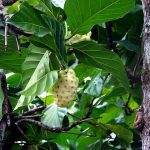 Although not very famous all around the world, the noni fruit has been used in the ancient medicine to heal many ailments in its the native habitat. It is also an intrinsic part of some of the Chinese, Indian, Polynesian and Australian cuisine. In ancient times the fruit of this tree has helped save lives of the people for thousands of years. It has some great antioxidant properties and analgesic properties that are helpful in treating a lot of health conditions. Some of the health conditions such as high blood pressure, diabetes, arthritis, pains, inflammations, cancer, aging, tumors and infections can be easily treated by the consumption or application of the extracts of this fruit. The fruit extracts also have some antibiotic properties and have always been very helpful in treating bacterial infections. 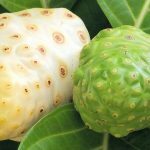 There are many ancient texts and scripts that have mentioned noni as a miracle fruit. It has great healing powers and is also very effective in healing certain kinds of cancers and tumors. 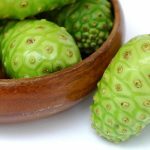 Noni fruit is consumed in the form of either juices or dried to form fruit-leather or consumed in the form of capsule supplements. The noni fruit is very bad smelling and does not taste good so consuming the whole fruit at once is not possible. 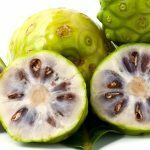 In today’s times, the noni fruit has found some new ways to benefit people. A huge population in the world is suffering from obesity. Obesity and overweight people are suffering from a lot of health conditions like high blood pressure and cardiovascular diseases. Strokes are one of the biggest causes of death amongst people and even small children are getting heart attacks. All this is due to excessive weight gain and accumulation of cholesterol. 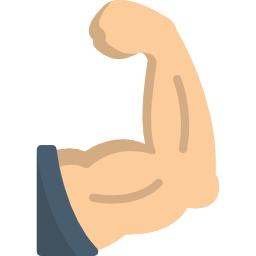 The noni fruit is extremely helpful in helping the body burn that excessive fat stored in the fat cells and utilise the cholesterol in the form of energy. So, noni juice has been extensively prescribed to people who want to lose weight and lead a healthier lifestyle. Noni has also found its use in the beauty products. Noni has skin renewal and anti-aging properties to it. So it has become an active ingredient in many anti wrinkle creams, anti aging creams and some ointments. Noni juice has antioxidant properties that help the skin to get cleaner and remove toxins. Another place noni is used in is treating anxiety and depression. The lower the level of serotonin in the body, the more a person is susceptible to anxiety, mood swings and depression. Depression and anxiety are two very common problems in today’s world. Another hormone, Melatonin, is essential in balancing the sleep and the mood of a person. 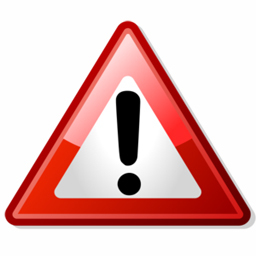 If this is produced less in the body, a person has sleeplessness which in turn results in insomnia or anxiety. Regular use of noni fruit or noni juice is proven to increase the production of both these hormones and eases anxiety, stress and lets a person sleep in peace. The bark of the noni tree is used to treat many bacterial infections such as diarrhea in children, cough and various stomach diseases. 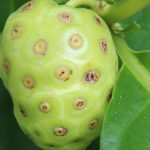 The noni fruit is also used in the cure of ayurvedic medicine for problems like asthma, broken bones, throat infections, ulcers, seizures, fungal infections, sore throat, cancer. The leaves of this plant are crushed and applied to help wounds heal faster and better. The antibiotic properties do not let any infection develop on the wound and also suppresses pain.